Due to the fact that I have a lot of different foundation, I tent to use different foundation every other day... hehehe... and I always forget to take a before after picture for review purpose. 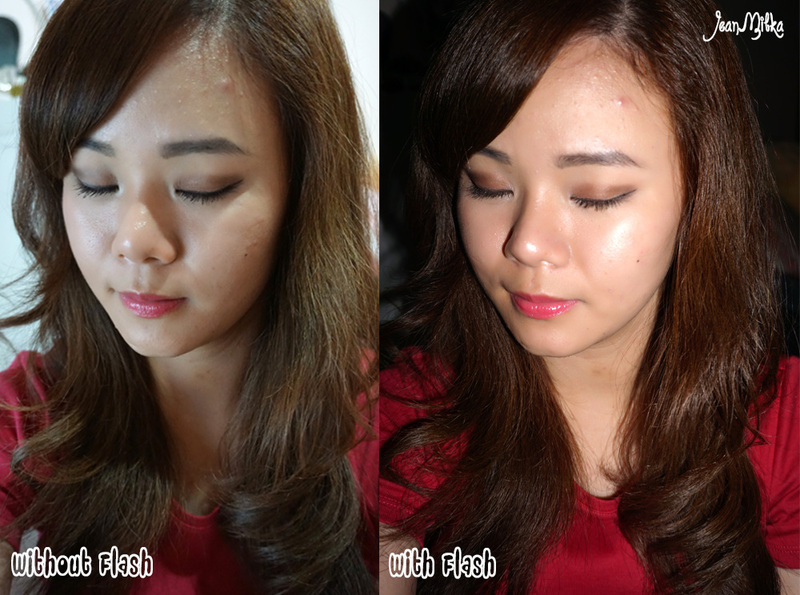 That is the main reason why I rarely blog about foundation. Okay enough with the excuses, now lets jump into the review. Shu Uemura Face Architect Smooth Fit hemmm... First of all for you who doesn't know. Shu Uemura have two well known foundation which are Face Architect and the Lightbulb. The Lightbulb give you glowing face where by the Face Architect have semi-matte finish but still won't make your face look flat. I have both of them but lets focus on the first foundation I got from Shu Uemura for today, which is the Face Architect Smooth Fit. Shu Uemura Face Architect comes in 8 shades that is mostly match asian skin tone. If you have dark skin tone you might have difficulty to find your perfect shades. I got mine in the shade Medium Light Beige number 764 *I am NC 20 in MAC*. 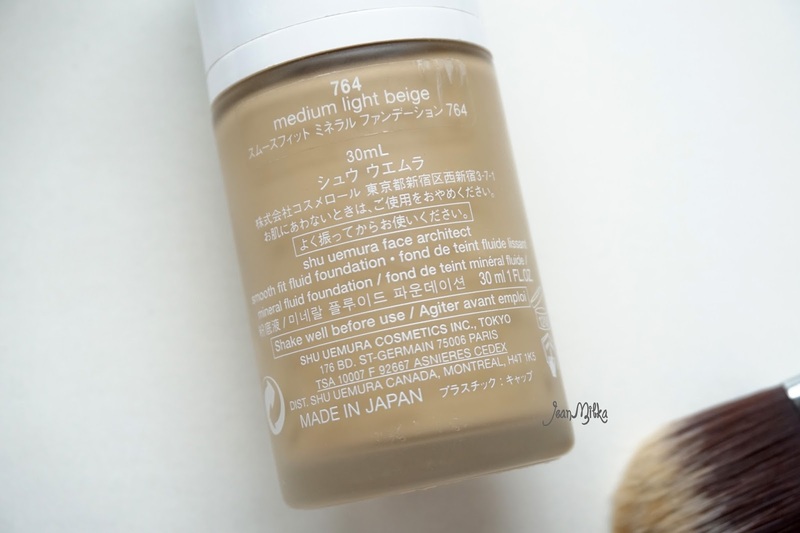 This might give you an idea about the color range because I tend to go with the lightest shade on almost every foundation, but for Shu Uemura Face Architect my shades is "Medium" Light Beige. 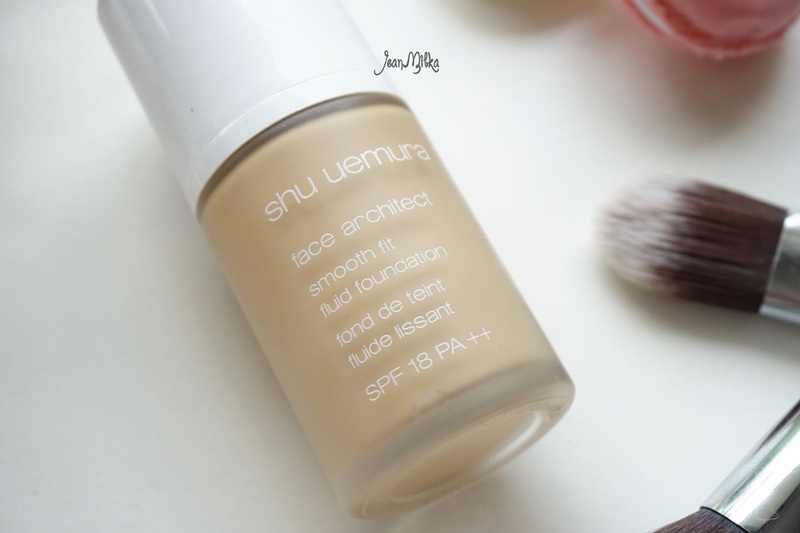 Shu Uemura Face Architect Smooth Fit have light watery texture. I like to applied it with kabuki brush or hand. It doesn't feel heavy on my face at all. 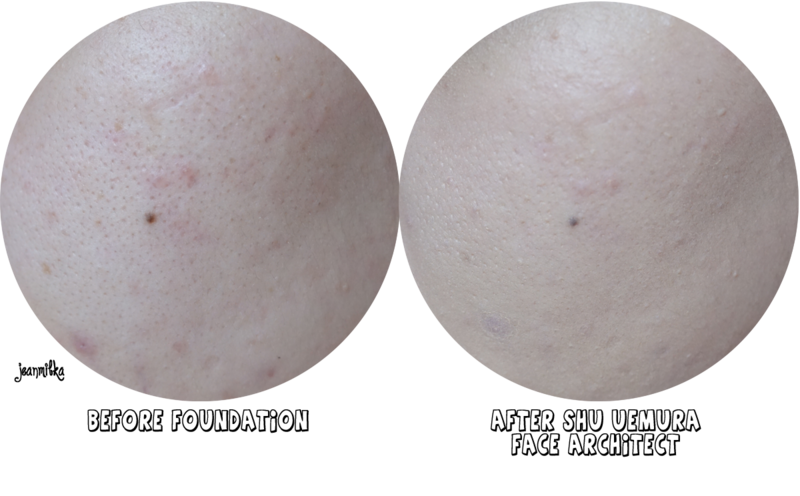 The coverage is build able to medium coverage, I need 2 - 3 pump for my whole face. The medium coverage is a plus and minus point in the same time. If you are looking for an everyday liquid foundation, I would like to suggest this one since it looks like another better layer of your own skin. But for people like me, I prefer medium to high coverage and you can't get it from this particular foundation. As you can see from the picture about, I didn't label it which one that is cover with Shu Uemura Face Architect which one is not. Take your guess? 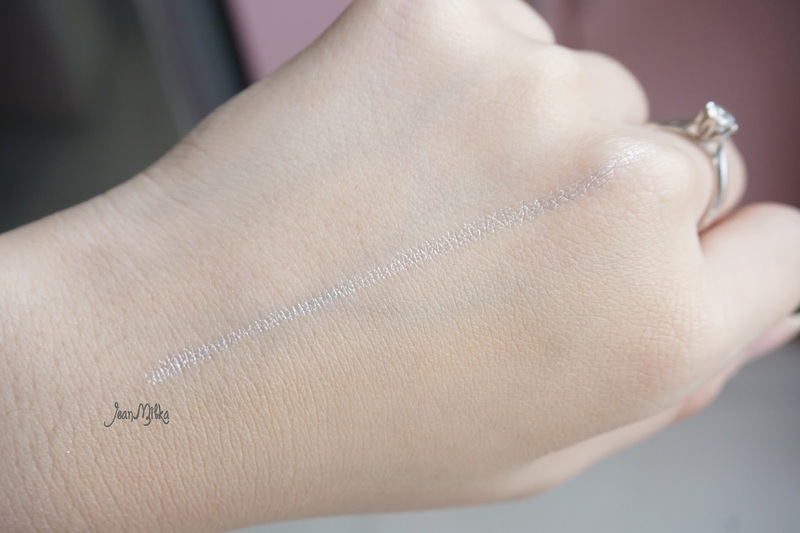 The upper part is the one without any foundation on it, and the lower part is the one that is cover with Shu Uemura Face Architect *the upper and lower part separated with silver liner*. I believe you barely can differentiate it. Talking about the control oil power, this foundation have semi matte finish but you still looks like glowing from within. 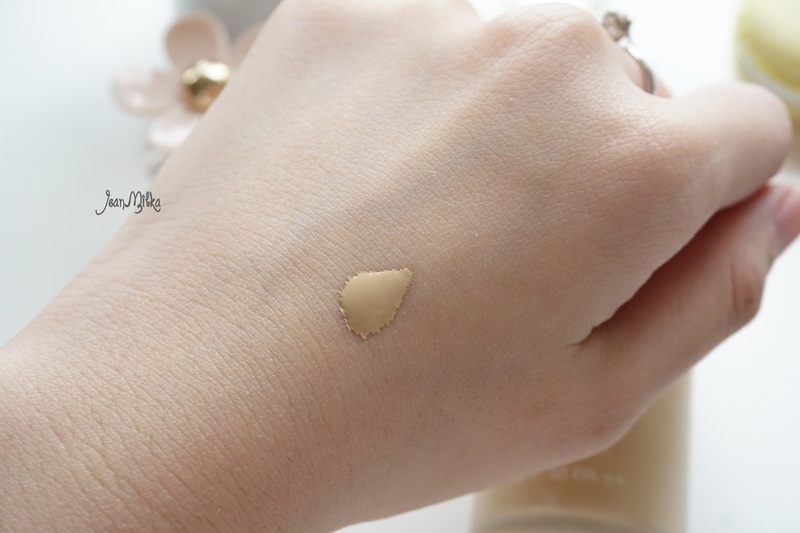 It is not too oily, not too dewy. You won't need to contour or anything since it won't make your face looks flat. 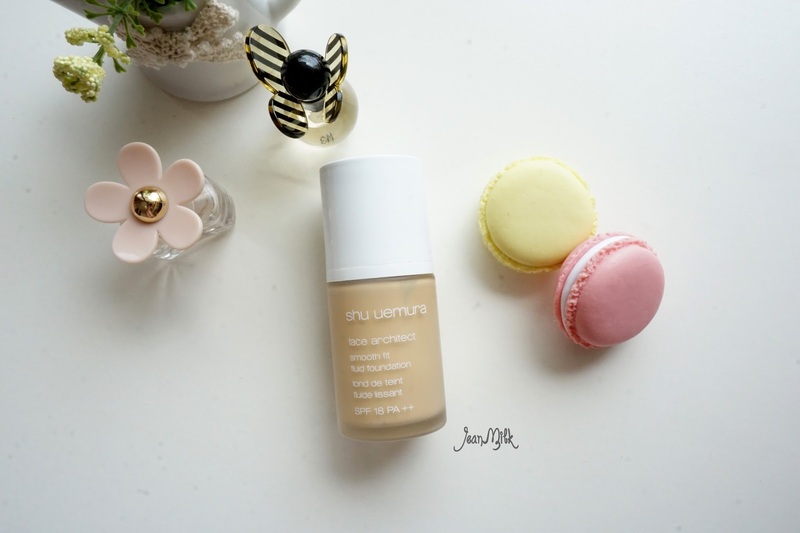 If you have combination skin or oily skin with some dry patches here and there, Shu Uemura Smooth Fit Liquid Foundation is best for you. I have oily skin and this foundation last me about 4 hours before I need to blot or touch-up with some powder. I always set it with loose power just because I prefer it that way, but you definitely doesn't have to. This picture above I took after using Shu Uemura Face Architect Smooth Fit for about 6 hours. As you can see I get oily around my T-zone, cheek and nose. It's no longer cover the redness I have around my cheek but It still looks good on my. Just like I said before, it looks like my own skin but better. It contains SPF 18 PA ++ but I didn't found it cause white reflect for flash photography, It can still be tolerated. 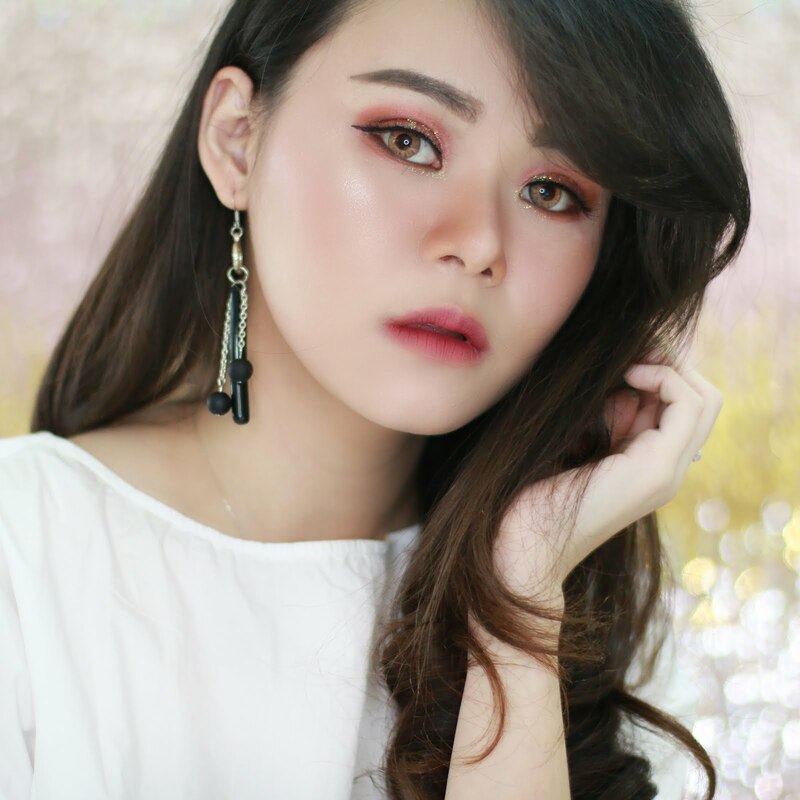 4 komentar on "Shu Uermura Face Architect Smooth Fit Review and Swatch"
lumayan aja sich sya.. tapi karena aku cukup banyak blemish lebih suka kalau full coverage. Tapi kayaknya buat kamu cukup dech. Yang light bulb lebih cover sich... lebih bagus itu kayaknya buat kamu..